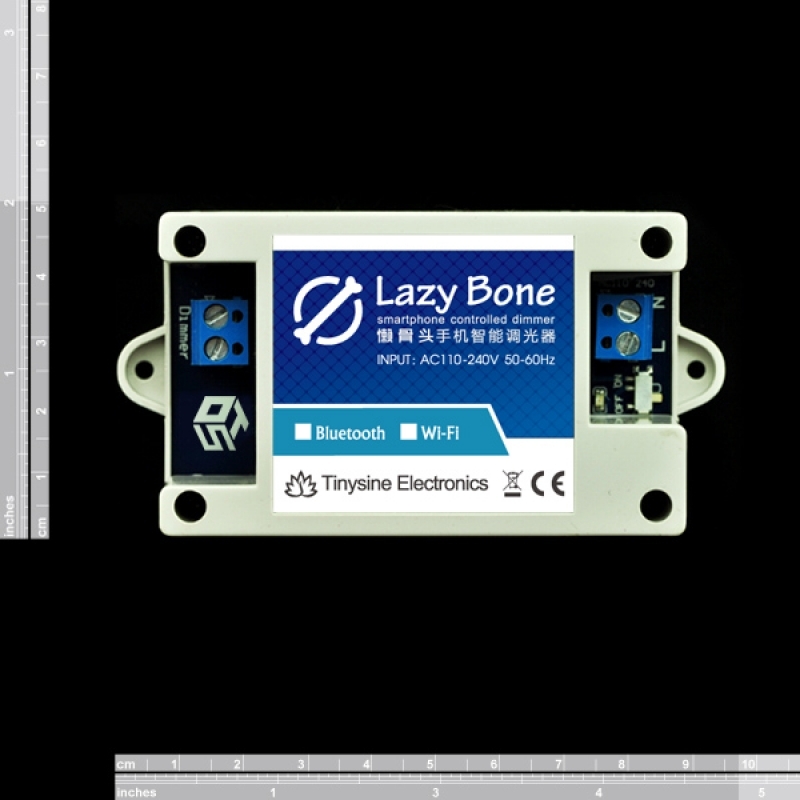 This LazyBone dimmer is a smart dimmer that integrated microcontroller and a powerful WiFi module, When you connect your lamp with it. You can dimming the light via your Android / IOS smartphone or a computer. It's very easy to use. With 2 ports for AC input and 2 dimmer ports for AC output. AC input can be AC100-240V 50/60Hz compatiable. So it can be used worldwide. 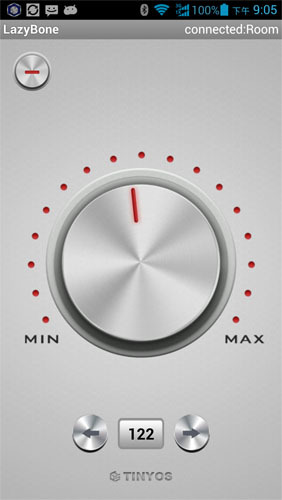 When you connect this Lazybone with your smartphone, rotating the virtual knob. 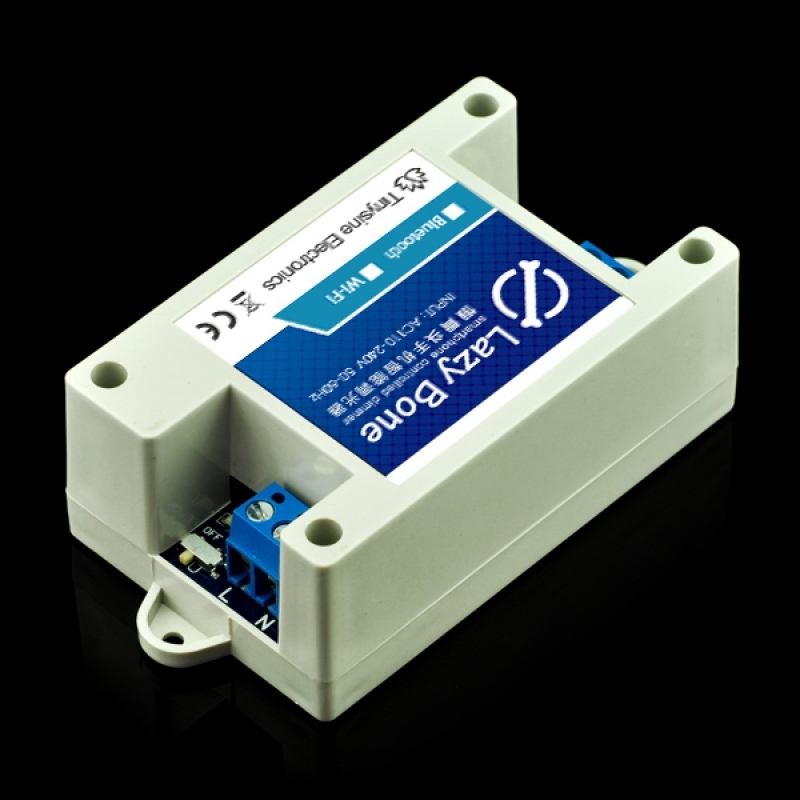 dimmer ports output voltage will changing. Lamp light also changing follow your rotating. Note: This dimmer can only works with incandescent bulb. CAN NOT with LED bulb or fluorescent lamp. But it can be used as an ON/OFF switch for every kinds of lamp. It has 2 basic version: Bluetooth and WiFi. And this is the WIFI LazyBone dimmer. If you need the Bluetooth LazyBone click here. We provide a free android APP for you to control it. You can control multi Lazybones by this APP. 1. Click the APP, if your phone WIFI is off , it will indicate to open it. 2.Android:Click the Menu and then 'Connect device' . 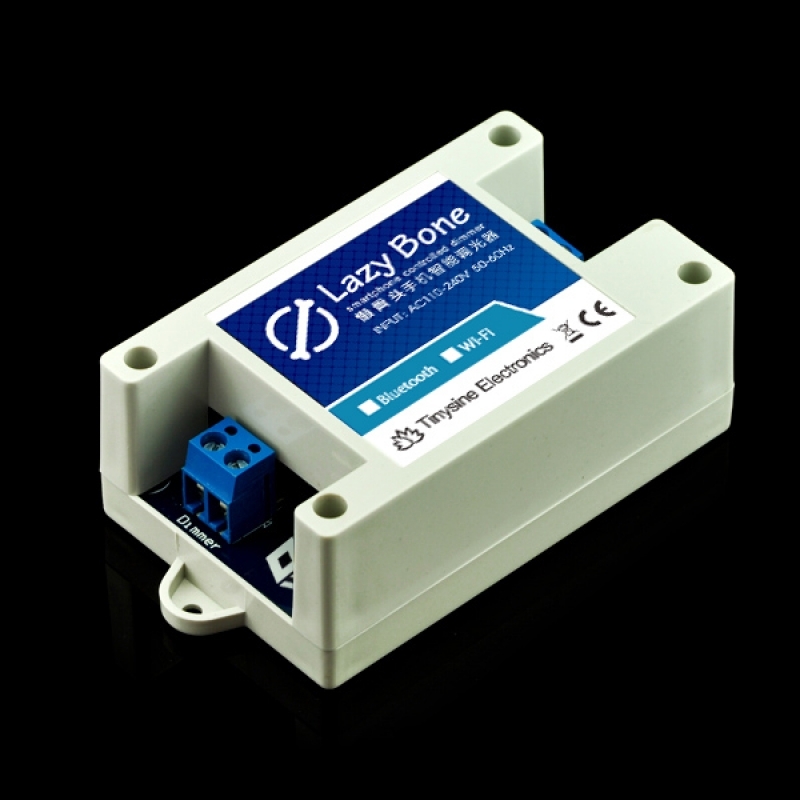 Input the Lazybone Dimmer IP and port number(default 2000). When you first time connect your lamp, you can assign a name for it. For example: "Room". iPhone: Click the TINYOS logo and input the Lazybone Dimmer IP and port number(default 2000). 3. Now you can control the lamp ON/OFF by pressing the ON/OFF button on the left corner. And adjusting the light by rotating the knob.